Before we configure your Auvik / ConnectWise Manage integration for inventory sync, let’s ensure everything is configured as expected in ConnectWise Manage for configuration items. Configurations are used to set the type on the record when it’s created from Auvik. 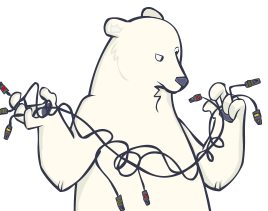 Questions on the configuration record allow extra detail from Auvik to be synced on devices. How do I add configuration types? Configuration types are used to map devices from Auvik to ConnectWise Manage when new devices are created. Configuration types can have questions associated with them that sync additional detail about the device such as description, firmware version, software version, and vendor name. Log into the ConnectWise Manage desktop client. From the navigation menu, click System, then Setup Tables. Under the table column, enter Configuration and click the row from the search results that come up. Enter a name for the new configuration type. Ensure that Inactive is not checked. Click the new item icon to add a new question. Enter a question of either description, firmware version, software version or vendor name. Make sure that Is answer required? is unchecked. Note: If the configuration has any questions set as Required they should be reset as Not Required for field syncs to happen successfully. Click the Save & Close icon. Repeat steps 7 through 10 to add all applicable questions. Click the Save & Close icon once all questions have been added. Repeat these steps until all configuration item types have been added. How do I edit configuration item types? Configuration types can have questions associated with them to sync additional detail about the device such as description, firmware version, software version, and vendor name. Click on a configuration item to which you’d like to add questions. Enter a question of either description, firmware version, software version, or vendor name. Select Text as the Type of field for answer. Repeat steps 4 through 7 to add all applicable questions. Repeat these steps each question to be added to each configuration type. How do I add manufacturers? Under the table column, enter Manufacturers and click the row from the search results that come up. Click the new item icon to add a new manufacturer. Enter a name for the new manufacturer. Ensure that Inactive is not checked. Repeat steps 4 through 6 to add all applicable manufacturers. ConnectWise Manage is ready to receive inventory records from Auvik. Time to get Auvik configured to sync inventory to ConnectWise Manage.